I just discovered, I never actually posted my review! How disappointing – I thought it would be fun to throw back to my initial impression, from FIVE YEARS ago. Alas. 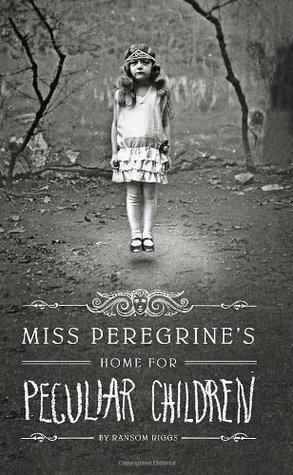 However, I highly recommend you read the series, especially before the film (directed by Tim Burton!!!!!) Releases. The writing style is unique and captivating, and incorporates vintage photographs for a haunting effect. This book is a modern day classic destined to appeal to all age groups, and book lovers. Enjoy the giveaway! Unfortunatly, US only. I am not responsible for it getting lost in the mail. I check all entries, and will remove cheaters. Good luck, yo. As always, a review that intrigues one to read the book.